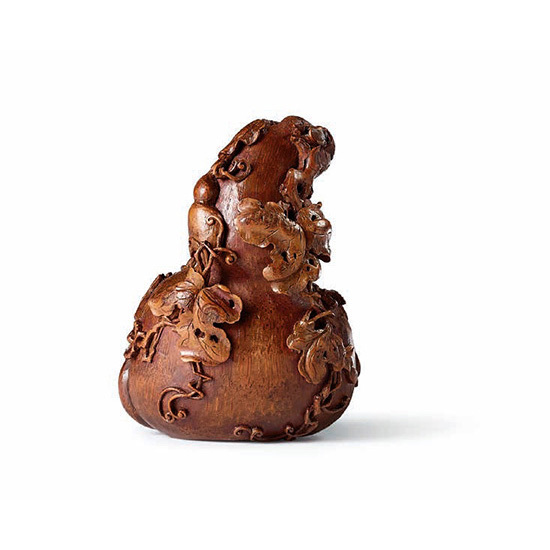 The box is carved in the round from bamboo root in the form of a double gourd and decorated on the surface with attendant double gourds issuing from the same leafy branch. The vines clambering along the surface of the principal double gourd form a stylised shou (longevity) character, which alludes to the rebus Fu lu shou sanxing 福祿壽三星 (The Gods of the ‘Three Stars’ who represent the qualities of Wealth 福, Status 祿 and Longevity 壽). 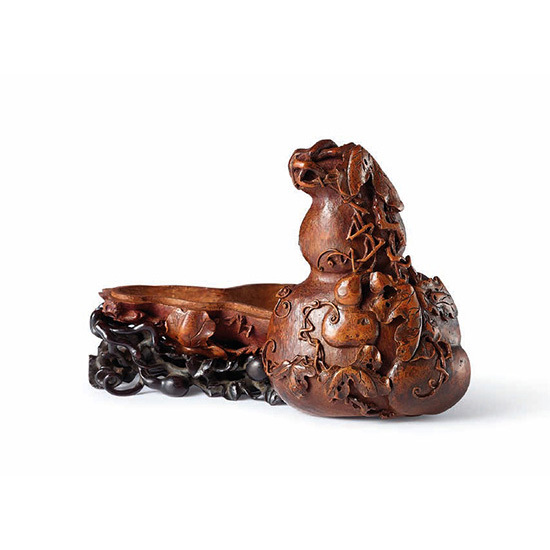 The box is carved in deep undercut relief and rests on a hongmu openwork stand carved with a matching double gourd motif. 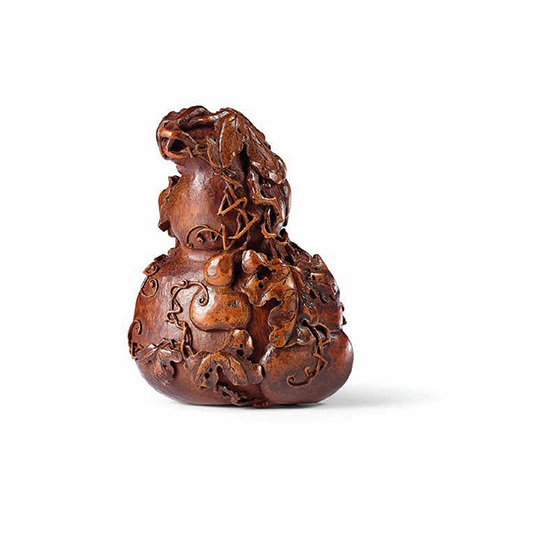 The bamboo root is patinated to a warm brown tone. A similar bamboo double gourd box and cover, catalogued as an album container, is published in the Palace Museum’s book The Imperial Packing Art of the Qing Dynasty, 1999, pp. 128-129, Catalogue No. 45.